N.S.S. aims at developing in students an insight to identify and tackle the problems and needs of the society. This builds up a democratic attitude in students, brings out the quality of leadership and encourages them to offer ‘selfless service’ towards humanity. 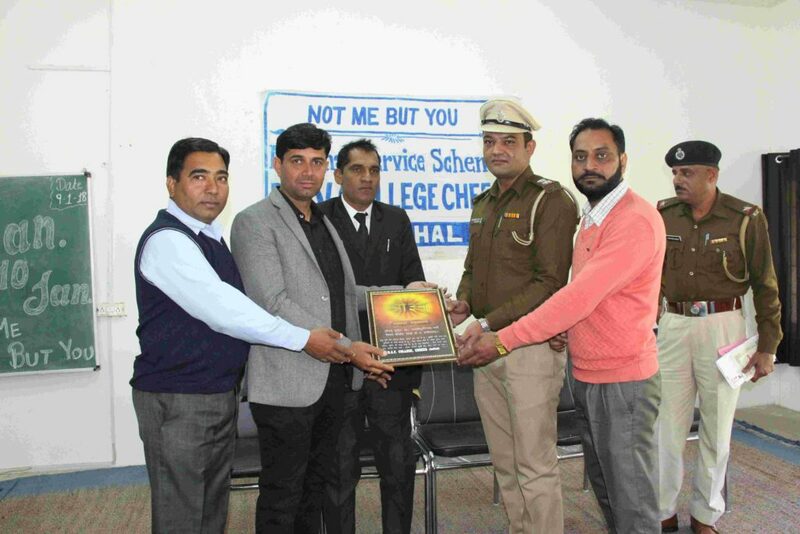 The college NSS unit holds various awareness programs to work for eradication of illiteracy, voluntary health service camps, communal harmony, environment awareness camps like saving the natural resources viz water, electricity, visits to home for the old and destitute etc. NSS volunteers are required to attend camps, which are arranged during vacations. Tree plantation, Blood donation camp etc. activities have also been per-formed. 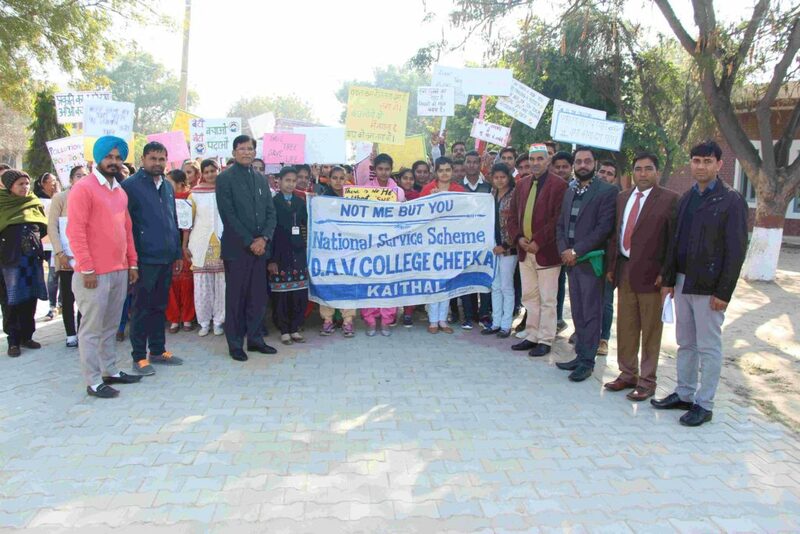 Our college both NSS units (Boys & Girls) was organized two one day camp in the college campus. 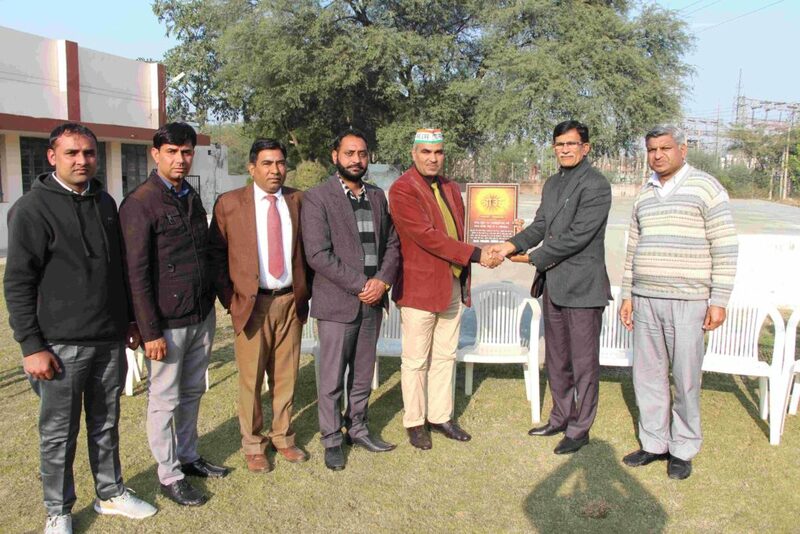 One Blood Donation Camp was jointly organized with Red Ribbon Club of the college in which 84 Units were donated by the teachers and students of the college. 18 NSS volunteers of Boys Unit got Merit Certificate issued by Department of National Service Scheme Kurukshetra University, Kurukshetra. 63 NSS volunteers of Girls Unit got Merit Certificate issued by Department of National Service Scheme Kurukshetra University, Kurukshetra. An Extension Lecture addressed by Dr. Ashok Kumar, Principal M.L.N. College, Radaur to N.S.S. 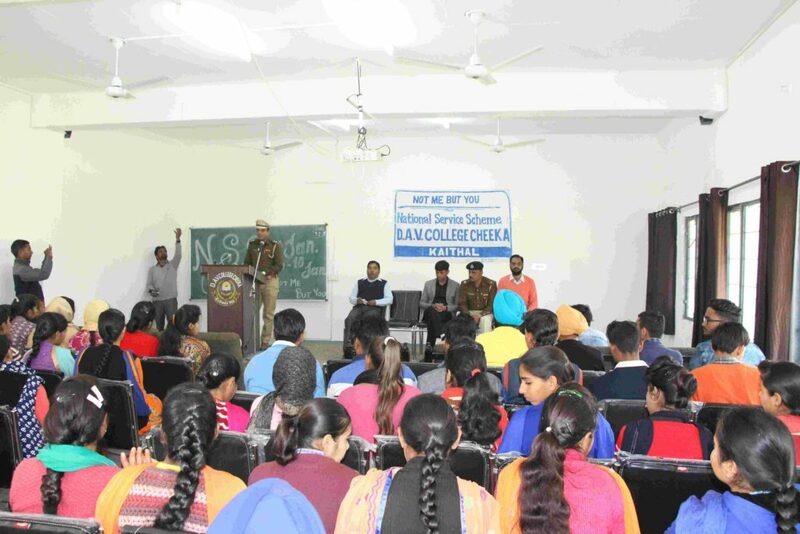 volunteers of both units (Boys & Girls) on the topic “Role of Communication Skills in Personality Development” on 03.10.2014 during the 7 day N.S.S. Camp. One Blood Donation Camp was jointly organized with Red Ribbon Club of the college on 03.03.2016.In which 97 Units were donated by the teachers and students of the college. 27 NSS volunteers of Boys Unit got Merit Certificate issued by Department of National Service Scheme Kurukshetra University, Kurukshetra. 35 NSS volunteers of Girls Unit got Merit Certificate issued by Department of National Service Scheme Kurukshetra University, Kurukshetra. An Extension Lecture addressed by Dr. Chuhar Singh, Assistant Professor of Punjabi, M.N. 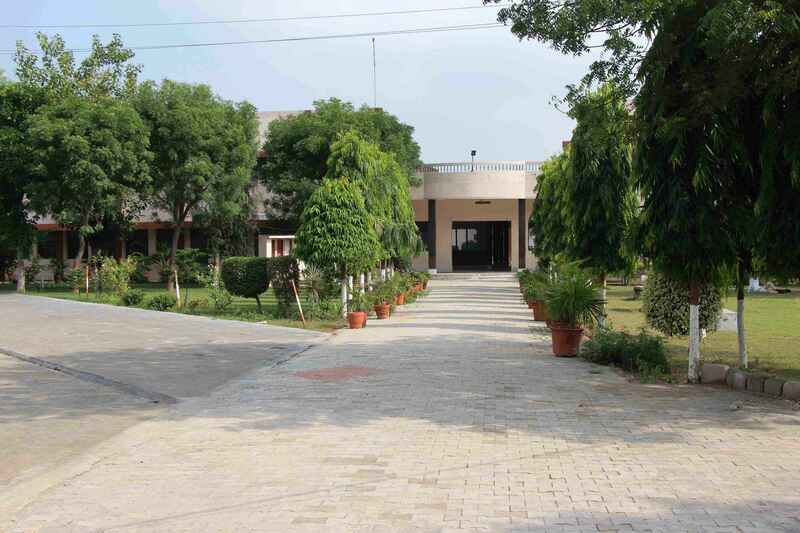 College, Shahabad to N.S.S. volunteers of both units (Boys & Girls) on the topic “Role of N.S.S. Volunteers in National Building” on 21.03.2015 during the 7 day N.S.S. Camp. 09 NSS volunteers of Boys Unit got Merit Certificate issued by Department of National Service Scheme Kurukshetra University, Kurukshetra. 09 NSS volunteers of Girls Unit got Merit Certificate issued by Department of National Service Scheme Kurukshetra University, Kurukshetra. An Extension Lecture addressed by Dr. Major Singh, Associate Professor of Commerce D.A.V. 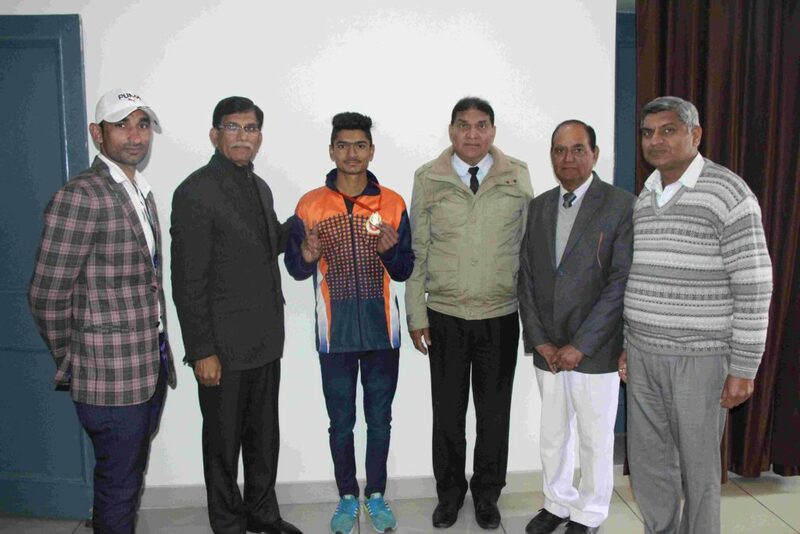 College, Pehowa (Kurukshetra) to N.S.S. volunteers of both units (Boys & Girls) on the topic “Personality Development” on 07.03.2016 during the 7 day N.S.S. Camp. 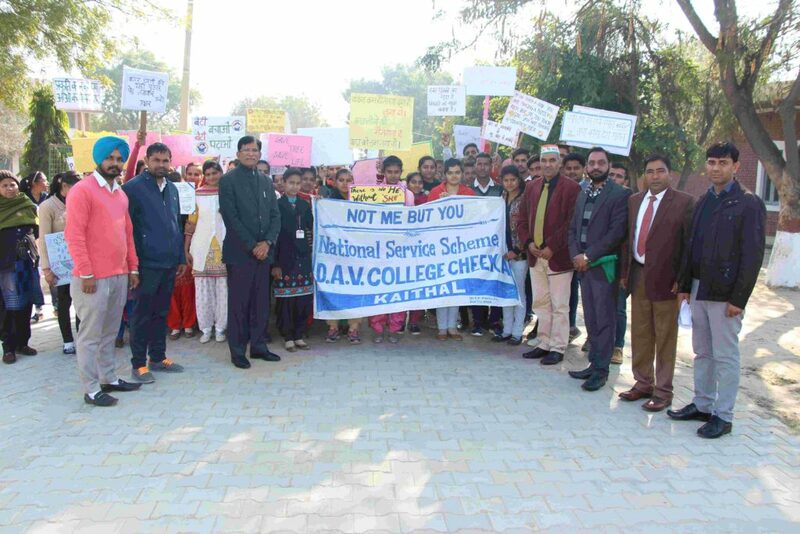 A rally was organized by NSS Units (Boys & Girls) on the Topic “Beti Bachao Beti Padhao” on 08.03.2016 during the 7 day NSS Camp. NSS Boys Unit was organized One Seven day camp from 04.01.2018 to 10.01.2018 held at W. No. 10, Near S.D.M. Court, Guhla Road Cheeka. NSS Girls Unit Was organized One Seven day camp from 04.01.2018 to 10.01.2018 held at D.A.V. Colony Cheeka.